Some very special books …. Edition: First edition Book condition: Very Good + This copy includes a rare “point” on page 125. New York: Harcourt, Barce and Company, 1955. First edition. Hardcover. Very Good +/good. Ten stories by this acclaimed author. These are tales of bitter comedy and stark tragedy set in the rural south against a backdrop of farms and poverty. ** This book is one of the rare copies with a point on page 125 with the word “trying” misspelled. The dust jacket is in good condition with slight fading on the spine and small chips on corners and rear flap. The binding is tight, and the pages are clean with slight sunning on the edges. This is a first edition, with magazine copyright dates listed for 1953, 1954, and 1955. 251 pages. Edition: First Edition Book condition: Near Fine – PLUS this copy has been autographed and inscribed by the author. Indianapolis: The Bobbs-Merrill Company, 1929. First edition. Hardcover. Near Fine. An unusual tale from an unusual point of view! 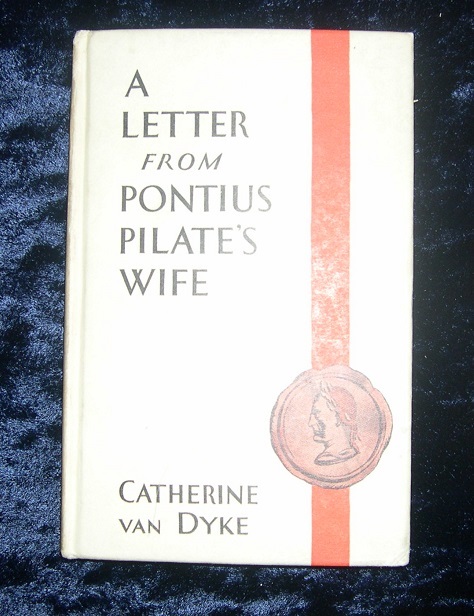 Based on ancient manuscript, this book recreates a letter to a friend of the wife of Pontius Pilate as she recounts the inside scoop on the man who condemned Jesus Christ to death. This first edition is a very special copy that has been signed by the author and inscribed to the original owner with a date of 1930. The book is in near fine condition with some smudges on the covers and spine, and a quaint, poetic bookplate on the inside front paste board. The pages are clean and in excellent condition. 53 pages. Old farmer’s wisdom never goes out of style! 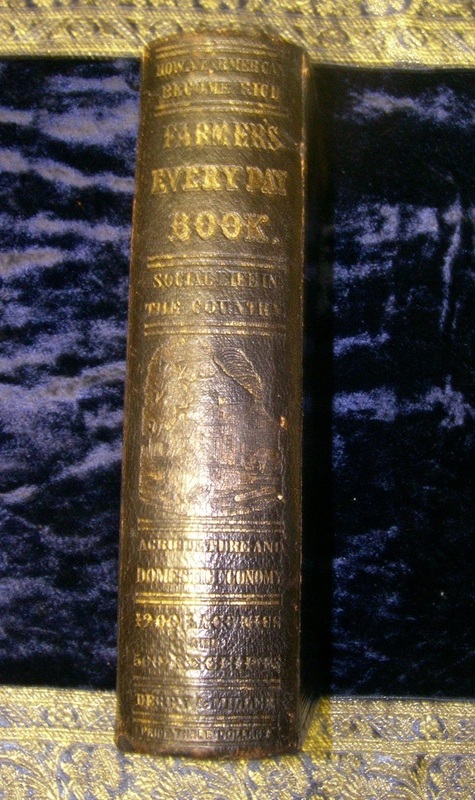 We just listed 2 treasure troves of agricultural tips and tricks from the mid-nineteeth century on our online store at Biblio.com. Click the links below to learn more about these neat old books! This beautiful book offers a wealth of timeless agrarian wisdom on “practical & theoretical agriculture” and rural economy, as well as “twelve hundred laconics and apothegms relating to ethics, religion, and general literature.” The laconics frame the text on every page with gems like: “The excesses of youth are drafts upon old age, payable with interest.”!! This is a first edition. 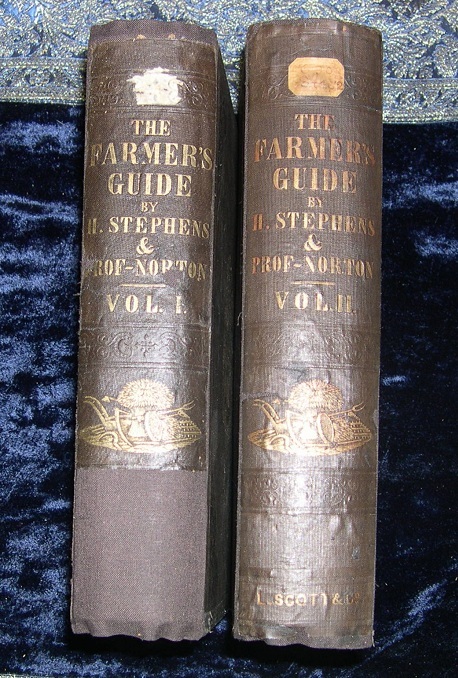 Two volumes of tools and terminology, best practices, and agricultural science and methods from the mid-ninteenth century. 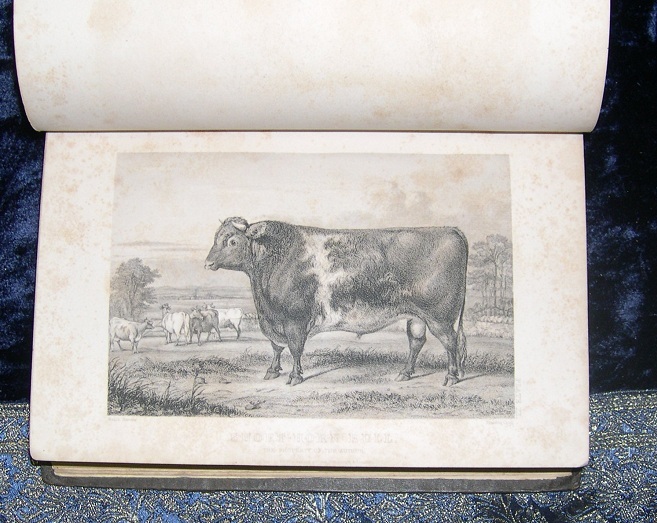 This extensive resource includes chapters like: “Feeding Cattle on Turnips , “Fattening of Swine in Winter” and “Turning of Dunghills”. Numerous charts, illustrations, and full-page engravings illustrate the text. First edition. We have a beautiful book by Rockwell Kent. It ‘s a shipwreck adventure that is filled with lovely woodblock prints. Edition: First edition; Book condition: Fine; New York: Brewer & Warren, 1930. Price: $48. “In this book is told the story of an actual voyage to Greenland in a small boat; of shipwreck there and of what, if anything, happened afterwards.” An adventure story told in Kent’s dry humor and expressive detail. This elegant book was also designed by Kent, and illustrated with reproductions of his beautiful, stylized wood block prints on almost every page. This book is in fine condition, with only slight darkening to the spine and cloth covers. The pages are clean and the binding is strong. 281 pages.